After Processing the Parts. 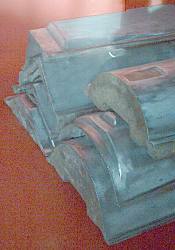 Metals have significant uses when it comes to industrialization. 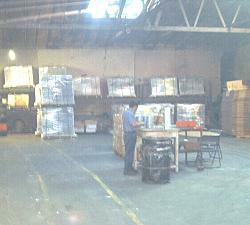 They are mostly utilized from a wide range of products like automobiles, machine parts, office and house equipment, etc. 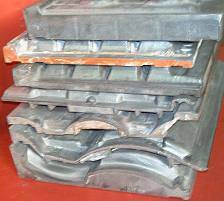 The die casting parts such as aluminum molds for roof tiles can be seen in commercial, industrial, and customer products. The process of Die casting is a procedure where the molten alloys are injected in molds (or dies) under high pressure. The procedure is beneficial compared to other processes like plastic mold casting and sand casting. The die casting parts made from die casting molds are resilient and strong because they do not have separate parts but rather shaped as one. Accuracy can also be achieved because the molds can create even the thin and intricate parts. 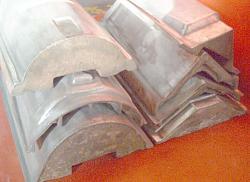 The process of die casting is also competent because of the nature of the process that the parts can be mass-produced. The parts fashioned are also heat resistant. The die casting parts can be shaped from zinc, aluminum, magnesium, copper, lead, and tin. They can experience the hot chamber or cold chamber method depending on the melting point of the alloy. They are cautiously made with the proper pressure to ensure the stability and to avoid the formation of cavities while the alloys are hardened. The whole cycle procedure with the parts can last within less than a second for those that are less than an ounce to two or three minutes for those weighing numerous pounds. The parts can have a maximum weight of 70 lb depending on the alloy utilized. Aluminum can have the heaviest weight among the other alloys that can be used. This entry was posted in die casting, Tile Molds and tagged American, Concrete Roofing Tiles, die casting company roofing, Kinetic Die Casting, molds, roofing, rooftiles, TileMolds on February 26, 2016 by admin. The Premier Standard In Die Casting–Aluminum Die Casting. 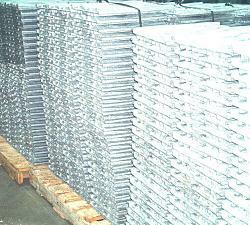 Aluminum is among the most often used material in die casting. In fact, of all die casting parts utilized around the world, the die casting industry produces more aluminum die casting for a vast number of useful equipment that people utilize in their homes, and workmen use as tools. Aluminum die casting parts made from aluminum molds are used in approximately all industries, from the automobile industry, to tools utilized in construction, all the way to household kitchen equipment. Manufacturing processes such as Aluminum die casting is one of the principles in the die casting industry. There is a precise type of mold for aluminum, as well as in the kind of manufacturing units, procedures, and process by which the melted aluminum is poured into the die like a trim tile molds. Other metal die casting materials are not produced in the same vast numbers. The die element is always created of steel in aluminum die casting, as contrasting to other molds that are manufactured from other assortment of material. In the production of aluminum die casting parts, molten metal is poured into the die until it reaches the filling point, whereas other die casting procedures require that the liquid metal goes into the die through gravity alone. The former method utilized particularly for aluminum die casting enables manufacturers to come up with a greater number of aluminum die casting parts contrasted to die casting for other materials. Through the mass production of aluminum die casting parts, the quality of the products has brought the die casting process for aluminum upfront as one of the uppermost standards in die casting production. This entry was posted in die casting, Tile Molds and tagged Concrete Roofing Tiles, die casting company, die casting roofing, molds, Roof Tile, Roofing Tile, Roofing Tiles, TileMolds on February 12, 2016 by admin. 50 Year Old Concrete. Most companies claim that concrete roofs last 50 years, but is this really true? While they protect you from fire, water, moss, termites and earthquakes, they are not really resistant to breakage, and you should not be surprised to repair or replace broken or lost concrete tiles once in a while. It’s true that concrete roofs are durable, and they are energy-saving too. So it may take years before the need to reinstall a new roofing system arises. In fact, most roof tile mold companies are confident enough about the performance and durability of concrete roofs that they offer 50-year limited warranties. Furthermore, careful selection of your roofing material and proper installation are the most important things to consider in order for concrete roof tiles to last more than 20 years. Also make sure that you buy from a reputable company to make sure of the roof’s quality. Others even claim that roofs last a lifetime, but if you’re a clever consumer, you would know that believing such is overrated. Nothing lasts forever, and so do roofs. But the best thing you can do as a homeowner is to responsibly inspect your concrete roofs yearly so that you can abstain from constantly repairing your roof. This entry was posted in die casting, Tile Molds and tagged Concrete Roofing Tiles, molds, Roof Tile, roofing, Roofing Tiles, rooftiles, TileMolds on October 30, 2015 by admin.